Hey gang, Valkor here. 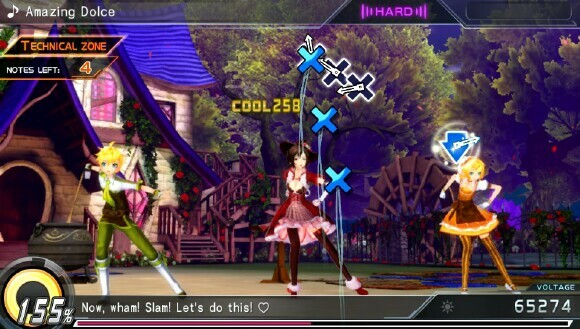 When it comes to gaming, as much as I enjoy a good platformer or RPG, I usually find it hard to resist a rhythm game; titles such as Dance Dance Revolution, Bust-A-Groove, Space Channel 5 or even Weapon Shop de Omasse can hit the spot in filling my need to get interactive while enjoying some fresh beats. 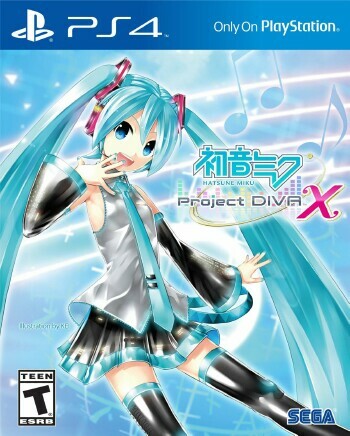 And thanks to the folks at Sega, I get to add the latest title from the Vocaloid that’s taking the world by storm – Hatsune Miku: Project Diva X, which is the tenth game in the series. And while this might have been my first time playing the rhythm series, it certainly won’t be my last. And I hope after this review, you folks out there will want to check it out as well! In “Project Diva X”, you’ll help Miku and her friends as they try to regain their voices as well as restore the aura lost from their world; getting back their voices is easy because that’s done at the jump. However, restoring the aura back into their world is going to need some work. In order to aid Miku and her friends, you’ll have to provide voltage to five cloud gems, which representing a specific theme. The gem's aura is restored once you've completed five songs and one main event, which acts as the finisher. Once you've filled up all of the gems, your quest will be complete and you'll move on to trying to acquire crystals that will unlock the final song. 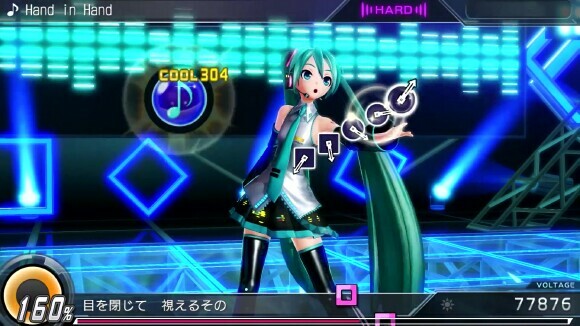 In between tunes, Miku, and friends will discuss items related to the stage chosen. For example, with “Quirky”, Rin and Len will argue about how to be quirky, only to discover that their fighting actually fits well with the theme. So how does it work? What’s your role as the player in these scenarios? Well, it’s your job to match on-screen symbols with its floating counterpart to the beat of a music video that plays in the background. Miss a beat and the music, or at least the vocals, stop (much like Guitar Hero). If you successfully match a symbol, then you gain voltage and wrack up points. 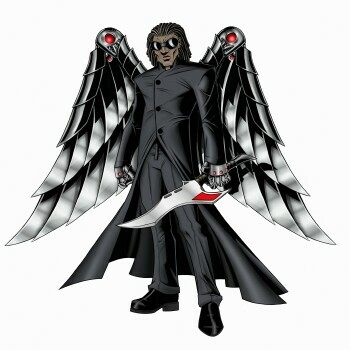 You'll also need to reach a set amount of voltage in order to move on to the next song in the cloud. 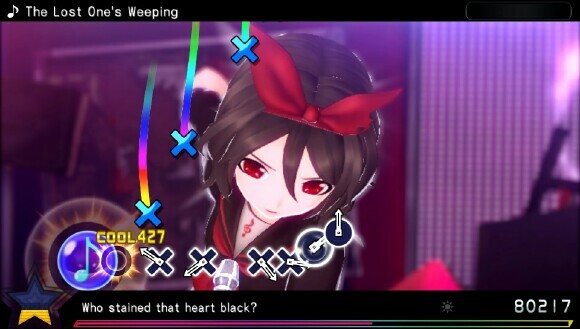 And once you reach a certain area of the song, your performer will change modules (outfits) that you’ll keep and you can use in later stages and other areas of the game. There are instances where you’ll run into a rare module, but only if certain conditions are met; for instance, when I played the “Urotander, Underhanded Rangers” theme song (my favorite), I initially unlocked Miku’s Underhanded Green outfit, which was a rare module. And after a second playthrough, I unlocked her Underhanded Green outfit with a helmet! I’m not totally sure what I did differently, but I’m not complaining either because it looked awesome! Now collecting modules and accessories are key as they can help you gain voltage faster or have some other positive effect; there are modules that will allow you to gain voltage even if you hit with a bad or miss. While you can pretty much wear whatever module or accessory you like (once you’ve unlocked them), it’s best to find the right combo that’ll benefit you the most when tackling a stage, to help get you the most voltage as well as the highest score possible. For instance, some modules go well with dog ears and a tail, but you’ll find the perfect combo as you mix and match through each set. And once you find the one that’s totally awesome, you can save it for future use. Initially, you get 30 songs total, but you can unlock more through paid DLC (at the time of this review there are two extra songs available – Sharing the World, and Hand in Hand). But there’s other stuff you can do such as “Free Play”, where you play any song you like, however, you like. Next, there's “Concert Editor”, which allows you to create your own music videos or watch your creations. And finally, there’s “Photo Studio”, which allows you to take photos of the characters; you can set up their facial expressions or set them up in a variety of poses. 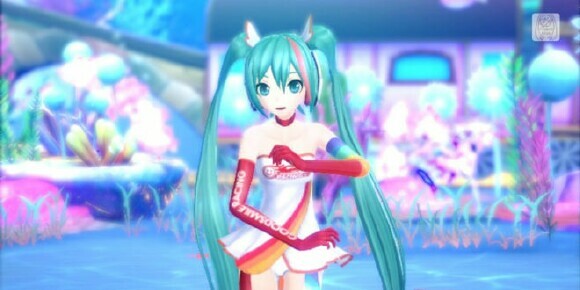 So, after getting a decent amount of playtime in, how does “Hatsune Miku: Project Diva X” fare? Let’s find out in the TOV Breakdown! 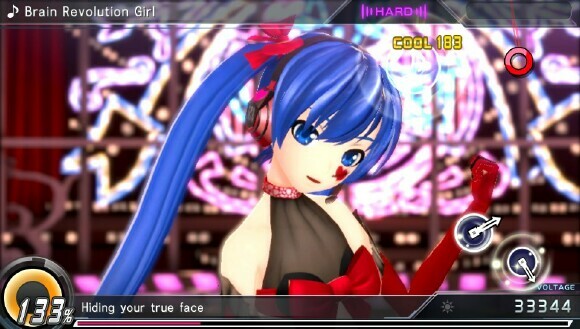 Even though the Hatsune Miku series is ten games deep, "Project Diva X" is my first time tackling the franchise; and while it took some getting used to the controls, I eventually caught on and before I knew it I was rocking each stage. Initially, I started out on easy but moved on to normal, though that took even more time to adjust since you have so much stuff being tossed at you all at once. 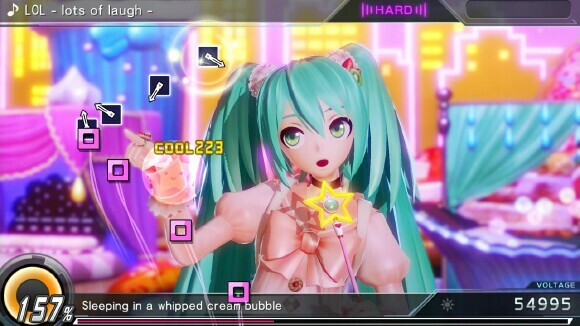 But overall, “Project Diva X” is so much fun. The controls are great, the animation is spot on, smooth and very fluid, and the attention detail in the background is amazing! Plus the music… the music in this game!! It’s super catchy! Every song is quite unique and when blended with the backdrops and animation, it makes for a distracting yet entertaining experience. I’ll admit, there were a few times I forgot what I was doing and was grooving to the beat. Only to be snapped backed to gaming reality when the vocals stopped. 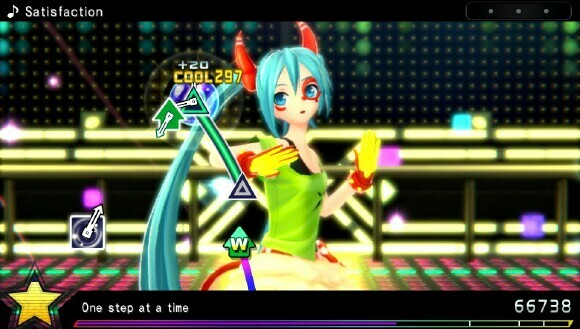 In the end, “Hatsune Miku: Project Diva X” is the type of musical distraction I can totally get behind. I don’t have too much on the negative side to say about the game. I’ve gone through much of the title, but from what I can tell, there isn’t a way to simply watch the music videos, minus the game. Sure there’s “Concert Editor”, but that limits what you can watch as a standalone. However, I’ll keep playing until I find it if it exists. But I’d rather have that than “Photo Studio”, which isn’t any kind of fun. 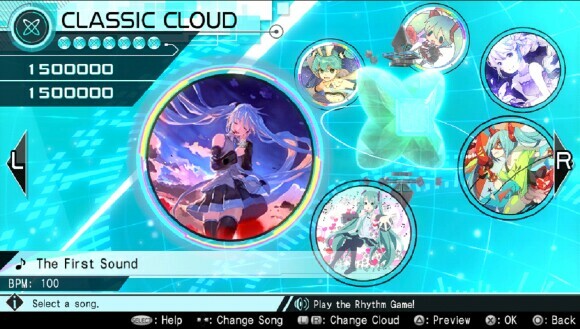 “Hatsune Miku: Project X” is out now for the Playstation 4 and PS Vita; so, if you’re looking for a musical experience that’s fun to play and easy on the eyes and ears, then this is one title you don’t want to pass up. I highly recommend it. And out of TOV 5 stars, I’m giving “Hatsune Miku: Project X” a 4.